As you may have heard, President Trump and the Congress have proposed a major revision to our tax system. 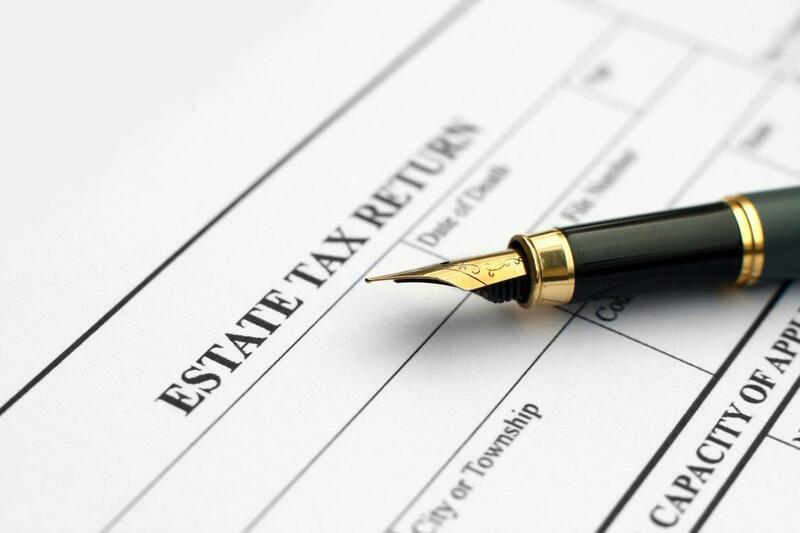 This tax reform contains major changes to the estate tax arena which also involves estate, gift and generation skipping taxes. 1. Immediate increase in the exemptions to $22 million. 2. Repeal of the death tax in the year 2024. 3. Other changes too numerous to list here. Please read and print the article to have for reference. If you read that entire article I will buy you a cup of coffee! Congratulations. Suffice it to say that this proposal has not passed yet and my never do so. Watch for more news about this. I view this as a continuation of the trend started in 2010 to remove the tax overlay from your estate planning. Whether this will pass is a question not addressed here. Thank you for your attention and interest in estate planning. More than 70% of folks who should have some plan in place do not. No will, power of attorney, HIPAA documents or living will. Numerous sources report this has stayed consistently high for almost 30 years. 1. No plan = undesired results. 2. No plan = no choice of decision makers. 3. No plan = no protections in place for you, your loved ones and your property. 1. Think about what is important to you and decide if you want to protect your spouse and children. 2. With the large federal estate and gift tax exemptions planning today is about protecting family members and income tax savings. Gather together your asset information: titles and beneficiary designations. 3. Schedule an estate planning meeting with a qualified estate planning attorney; one who actually specializes in estate planning. 4. 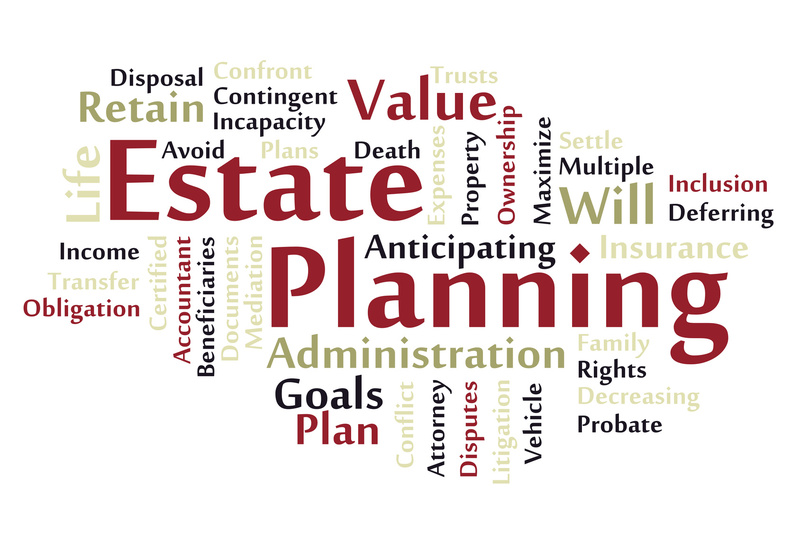 Discuss your goals, assets and beneficiary designations with your estate planning attorney. 5. Implement the plan by signing all of the estate planning documents you work out; will, trust, powers of attorney, living will and health care documents. 6. Make sure each asset is titled properly and the beneficiary designations are ALL coordinated with your estate plan. Estate planning is all about family! Six simple steps to estate planning success and to get on the road to protecting yourself, your family and your property. When you decide to get your will and estate planning started one of your first steps is selecting the right estate planner. Difficulty with this alone stops many from completing their will and plan. Here are three sure-fire steps to follow to make sure you have the best and right assistance. It's so tempting, do it yourself, save money and cut out the lawyers. With all those home fix up shows on TV and all the youtube videos how hard could it be right? Wrong! DYI estate planning is risky for you and a certain way to force your family into probate court. Read the many articles below on the specific risks of DYI estate planning. Also tempting is to find an online form and fill that out. Even websites like Legal Zoom should be avoided. There are several articles below discussing why the internet approach is also doomed to fail. Besides, who wants OJ's lawyer preparing their will and health care documents? Minimum of 7 consecutive years as a full time estate planning specialist or is an associate in a firm that has at least one attorney who meets this criteria. Peer review rating from Martindale-Hubbell of AV or is an associate in a law firm where the director of the estate planning department has this rating. Now you have three simple steps to finding the right estate planning attorney for you and your family. Remember to use all three steps and to insist on the two requirements from the lawyer you choose. Not all attorneys are qualified to practice estate planning law and you are the only person who can protect yourself. Thank you for your interest in wills and estate planning. Feel free to join the conversation by commenting below or sending me an email. 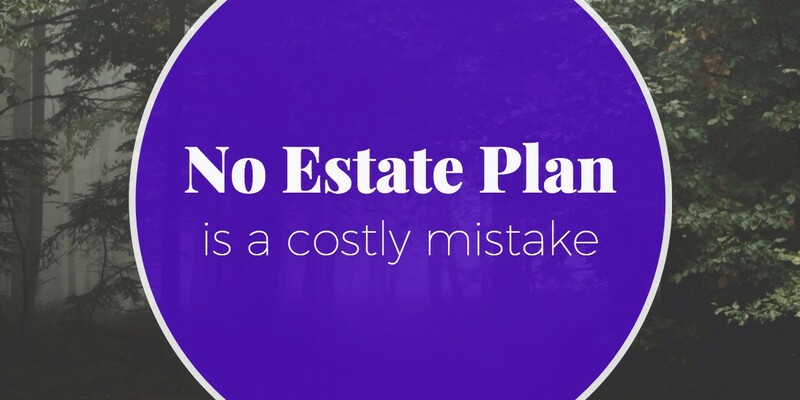 If you already have an estate plan, that's great! Your next question is how often should you review that plan. More on that below. If you are like the almost 70% of folks who don't have a plan yet, now is the time to take care of that for yourself and family. 1. Every 2-3 years if nothing has happened. Significant change in health of you, your spouse or a child. Significant change in your net worth such as winning a lotto or inheriting. A change in your family structure such as divorce, separation, marriage, living together, or birth of a child. Becoming responsible for an elderly relative or parent. Any other life event that is significant to you. You learn of changes in the law and tax code that may impact you. By following these simple guidelines you will keep your estate plan up to date, current and synced with your goals and objectives. An unfortunate side effect of economic prosperity is the proliferation of scams, cons and con artists. The best way to protect yourself is to be armed with information and the discipline to say no. Con artists seek to separate you from your money and property either directly or these days by stealing your identity. Here is a list of known frauds, scams and cons in Colorado, Douglas County and the Castle Rock area. 1. Roofing scams. Protect yourself by dealing only with licensed roofing contractors from a list provided by your insurance company or local chamber of commerce. 2. Yard scams. Having someone else do the lawn work is inviting, but don't select someone who contacts via door to door, internet or phone. 3. Real estate advisors. There is NO such thing as a real estate advisor. People who are experts in real estate are tested and licensed by the state and are called realtors. Either deal with a licensed realtor or say goodbye to your money as it disappears into the pocket of a con artist. 4. The jobs scam. Someone promises you a job making calls or sending emails from home and they'll pay you for it. It's a scam called the "job scam" and now that you know about it you won't fall for it. 5. 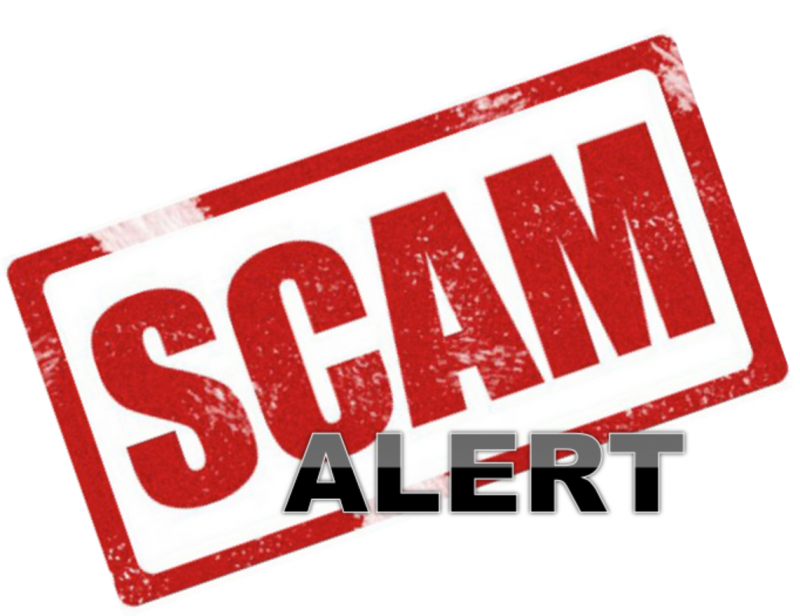 Sprinkler system repair scams. If someone comes to your home and tells you about your faulty sprinkler system, close the door. If you suspect issues with your plumbing or sprinkler system call your local water provider. They offer analysis and help to help you isolate what the actual problem may be. 6. 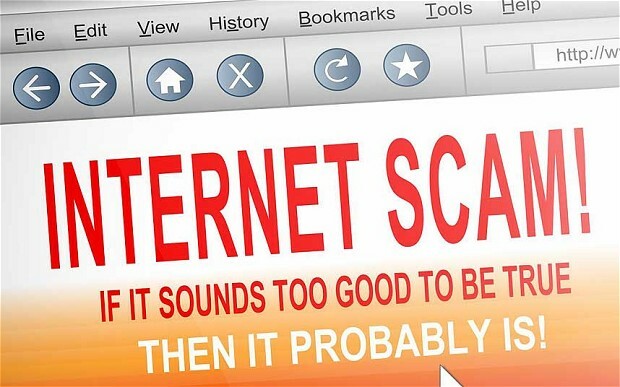 Do we still need to mention internet scams? Yes we do as they represent one of the largest source of scams in America. As the graphic above says, if it sounds too good to be true it is. The internet is a wonderful place to send email, interact on social media, buy products from reputable companies and read the news. If your internet activity involves looking at and falling for things that sound too good to be true, you are asking to be scammed. As new scams are reported on we will bring them to you. Help shine the light on scams and con artists and share this article with family and friends.